New Hampshire’s “Hands-Free” law went into effect in 2015, prohibiting the use of any hand-held device while driving. New vehicles are manufactured with Bluetooth capability, allowing for hands-free and voice-activated connections to electronic devices. For those drivers with older vehicles without this technology, an update is necessary to enable hands-free capability. Research has shown that older drivers who commit violations of the law do so while using a device to make and receive phone calls, while younger drivers are far more likely to be texting. At the Law Office of Manning & Zimmerman, we have seen an increase in the number of cases we handle that are the result of injuries caused by distracted drivers. We must ALL develop strategies and the discipline necessary to eliminate distractions while driving to ensure our own safety as well of the safety of all others on our roadways. At Manning & Zimmerman Law, we are committed to helping to reduce the number of distracted driving crashes on New Hampshire roadways. Attorneys Maureen Raiche Manning and Anna Goulet Zimmerman, who combined have more than 50 years of experience in the practice of law, have volunteered their services to provide distracted driving presentations at local high schools. This is being done as part of a state-wide initiative being organized by the New Hampshire Association for Justice, an organization of trial lawyers of which Attorney Zimmerman is the current president and Attorney Manning is a past-president. More information on the program provided to schools is available at EndDD.org or, if your school would like a presentation, please contact Attorney Zimmerman at our office. If you have been injured through no fault of your own, contact the New Hampshire personal injury lawyers at the Law Office of Manning & Zimmerman, PLLC. Big insurance companies have lawyers looking out for their interests and you should too. There are no up-front costs for our services. All personal injury cases are handled on a contingency basis, meaning that we are only paid for our services if we successfully recover damages from the responsible party. For a free consultation, call (603) 239-2315, email us at info@manningzimmermanlaw.com, or contact us by using the “contact us” form or chat feature on our website. Negligence is defined as “the failure to use reasonable care, resulting in damage or injury to another” and is the crux of a New Hampshire personal injury case. In order to receive compensation for personal injuries suffered in a motor vehicle collision, an injured person (known as the “plaintiff”) has the burden of proving negligence on the part the person being sued (known as the “defendant”) – usually, the other driver. In order to prove negligence in a New Hampshire personal injury case, an injured plaintiff must show that the defendant driver owed him or her a duty; that this duty was breached; and that breach of this duty factually and legally resulted in the plaintiff’s injuries and damages (including both economic and non-economic damages). In New Hampshire personal injury cases, a defendant’s duty is measured by the standard of a reasonable person. In the case of personal injuries sustained in a motor vehicle accident, the injured plaintiff must show that the defendant driver owed a duty to the injured plaintiff (and all other drivers on the roadway) to act as a reasonably prudent driver under the same or similar circumstances. “Same or similar circumstances” means that a defendant driver’s duty is “fluid,” depending upon environmental circumstances like traffic volume, weather, and other external forces. For example, a defendant may have a duty to drive slower when road conditions are bad or if driving through an area where there are a lot of pedestrians or children present. These factors are taken into consideration when determining whether or not a defendant driver breached the duty of care owed to the injured plaintiff and other drivers on the roadway. The injured plaintiff must ordinarily be able to prove this breach to prevail in a personal injury case and receive monetary compensation. In some cases where the defendant driver’s insurance company is not contesting fault (i.e. where the insurance company concedes that its driver caused the accident), it may “admit” to satisfying the duty and breach elements of negligence. In many cases, a plaintiff’s lawyer will insist that the defense lawyer stipulate to this admission in writing – especially if the case has a good chance of proceeding to trial. Although a defendant may “admit” fault for collision, this is not the same at taking responsibility. In fact, when this is done and the case proceeds to trial anyway it is because the defendant (or his/her insurance company) is still failing to accept financial responsibility for all the harms and losses which were caused by the defendant’s conduct. The admission of fault is often done simply because the defendant wants to avoid the jury hearing about what he or she did wrong, with the hope that this might result in a smaller verdict. In a New Hampshire personal injury case, an injured plaintiff must ordinarily show that the defendant driver’s breach of duty was both the factual cause and legal (foreseeable) cause of the plaintiff’s injuries and damages. In addition to causation, the plaintiff must have suffered damages – usually in the form of personal injuries. These damages are classified into two main types: economic and non-economic damages. Economic damages are those damages that can be measured numerically – such as medical bills, physical therapy bills, and compensation for missed time from work (also known as lost wages). The injured plaintiff must demonstrate that the treatment, bills, and lost wages are the proximate result of injuries sustained in the accident. Non-economic damages include compensation for pain and suffering; aggravation and inconvenience, psychological and psychiatric harm, loss of earning capacity, and loss of companionship or consortium (i.e. spousal support). The value of these losses can be difficult to determine, but are often far greater than the non-economic damages as this is the category of damages within which the jury is compensating a plaintiff for the change in the plaintiff’s ability (whether for a period of time or permanently) to live and enjoy life in the same what that he or she once did. Again, the injured plaintiff must demonstrate that these damages were proximately caused by the accident. New Hampshire personal injury law penalizes plaintiffs when the evidence shows that they somehow caused or contributed to the accident in which they sustained their injuries. Examples of contributing to an accident might include exceeding the speed limit, violating a traffic law, or engaging in some type of distracted driving, IF this conduct contributed to the accident. New Hampshire, like most states in the country, uses a modified comparative negligence scheme – otherwise known as the “51% Rule.” Under this rule, an injured plaintiff’s contributory negligence does not completely bar his or her recovery, so long as the plaintiff’s negligence was not greater than the defendant’s. Under New Hampshire personal injury law, a judge will reduce an injured plaintiff’s damages (the total amount of the damages as determined by a jury) in proportion to his or her amount of negligence. For example, if a defendant driver was 75% at fault for the accident, and the injured plaintiff contributed 25% to the accident, then the injured plaintiff is only entitled to recover 75% of the damages found by the jury. If you or a loved one have been injured through no fault of your own, contact the New Hampshire personal injury lawyers at the Law Office of Manning and Zimmerman, PLLC. There are no up-front costs for our services. All personal injury and workers’ compensation cases are handled on a contingency basis, meaning that we are only paid for our services if we successfully recover damages from the responsible party. For a free consultation, call (603) 239-2427, email us at info@manningzimmermanlaw.com, or contact us by using the “request a free consultation” feature on our website. * When it snows, the NH car crash attorneys at Manning & Zimmerman Law urge you to use your head – not your feet. Slow down for wet, snowy, or icy conditions; when visibility is poor; or when conditions are changing or unpredictable. Stay alert! * Slow down when approaching intersections, off-ramps, bridges or shady spots. These are all candidates for developing black ice – a thin coating of clear ice can form on pavement surfaces that may be difficult to see. * Drivers should allow additional room between their vehicles and others. Winter road conditions often result in longer stopping distances. * Don’t take chances when pulling out in front of approaching vehicles. Remember, they may not be able to slow down, and you may not be able to accelerate as quickly as on dry pavement. * Avoid using cruise control in winter driving conditions. You need to be in control of when your vehicle accelerates based on road conditions – don’t let cruise control make a bad decision for you. * Stopping on snow and ice without skidding requires extra time and distance. If you have anti-lock brakes, press the pedal down firmly and hold it. If you don’t have anti-lock brakes, gently pump the pedal. Either way, NH car crash attorneys urge you to give yourself plenty of room to stop. * On snow and ice, go slowly, no matter what type of vehicle you drive. Even if you drive an SUV with four-wheel drive, you may not be able to stop any faster, or maintain control any better, once you lose traction. Four-wheel drive may get you going faster, but it won’t help you stop sooner. * When you’re driving on snow, accelerate gradually. Avoid abrupt steering maneuvers. * When you’re driving on snow, ice or wet roads, merge slowly, since sudden movements can cause your vehicle to slide. * It takes more time and distance to stop your vehicle in adverse weather conditions, so use your brakes carefully. Brake early, brake slowly, brake correctly, and never slam on the brakes. * Look farther ahead in traffic than you normally do. Actions by other vehicles will alert you to problems more quickly, and give you that split-second of extra time to react safely. * Avoid distracted driving – texting, eating, handheld devices, etc. * Winter conditions call for different driving tactics. “When there’s ice and snow, take it slow” is sound advice from the NH car crash attorneys at the Law Office of Manning & Zimmerman, PLLC. * Don’t crowd the plow. Snowplows plow far and wide – sometimes very wide. The front plow extends several feet in front of the truck and may cross the center line and shoulders during plowing operations. * Don’t tailgate or stop too close behind snowplows. Snowplows are usually spreading deicing materials from the back of the truck may need to stop or take evasive action to avoid stranded vehicles. If you find yourself behind a snowplow, stay behind it or use caution when passing. The road behind a snowplow will be safer to drive on. * On multiple lane roads, watch for snowplows operating in either lane. * Snowplows can throw up a cloud of snow that can reduce your visibility to zero in less time than you can react. Drive smart. Never drive into a snow cloud – it could conceal a snowplow. * Snowplows travel much slower than posted speeds while removing snow and ice from the roads. When you spot a plow, allow plenty of time to slow down. * A snowplow operator’s field of vision is restricted. You may see them but they may not see you. * Plows turn and exit the road frequently. Give them plenty of room. * Before leaving home, find out about the driving conditions. Safe drivers know the weather, and they know their limits. If the weather is bad, remember, ice and snow, take it slow, or just don’t go. * Before venturing out onto snowy roadways, make sure you’ve cleared the snow off all of your vehicle’s windows and lights, including brake lights and turn signals. Make sure you can see and be seen. Always buckle up, and remember, when driving in winter, ice and snow, take it slow. * Give yourself extra time to reach your destination safely. It’s not worth putting yourself and others in a dangerous situation, just to be on time. * Winter conditions can be taxing on your vehicle. Check your vehicle’s tires, brakes, fluids, wiper blades, lights, belts, and hoses to make sure they‘re in good condition before the start of the winter season. A breakdown is bad on a good day, and can be dangerous on a bad-weather day. * Wear your seat belt! Nearly three-quarters (71%) of all traffic fatalities in New Hampshire over the past 10 years have involved non-seat belt use. If you or a loved one have been injured through no fault of your own, contact the New Hampshire car accident lawyers at the Law Office of Manning and Zimmerman, PLLC. There are no up-front costs for our services. All personal injury and workers’ compensation cases are handled on a contingency basis, meaning that we are only paid for our services if we successfully recover damages from the responsible party. For a free consultation, call (603) 624-7200. You’ve just been involved in a Manchester auto accident with another vehicle. It was the other driver’s fault, and you both know it. You believe you are hurt, but you’re not sure how badly or to what extent. What do you do? First of all, call 911 and report the accident right away. Let the dispatcher know you’ve been injured in a collision and are in need of emergency personnel. This is crucial for two reasons. First, it will ensure that you receive prompt medical attention for your injuries. Second, it will result in the police being notified and responding to the scene so that an appropriate investigation can be completed. The officer preparing the report will also write a narrative of the details and apparent cause of the accident, including whether one party claimed that another party was speeding or driving erratically, etc. The officer will probably also draw up a diagram of how the accident unfolded with illustrations of points of impact. The police report can be very helpful in identifying witnesses and other information that may later be relevant to your claim. To the extent you are physically able to do so, collect all necessary insurance and contact information from the other driver. Take photographs of vehicle damage as well as your injuries if possible. Of course, if you are hurt or unable to move around, there’s no need to attempt this on your own at the accident scene. 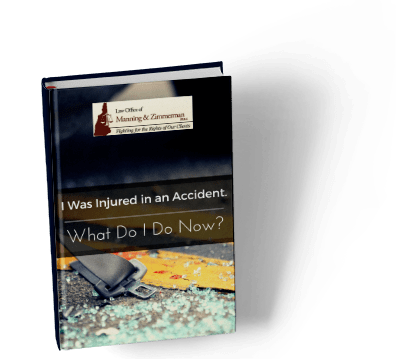 As soon as possible after the Manchester auto accident, write down notes regarding your memory of how the accident happened and what you observed immediately before, during, and afterwards. As time elapses, it will naturally become more and more difficult to recall smaller details of the incident. However, in the event you end up filing a personal injury lawsuit, it’s possible you could be asked about these details several months from the time they happened. By creating a detailed log, you will have something you can review prior to a deposition or trial. Should you receive a phone call from an insurance adjuster, keep in mind that you are under no obligation to discuss the accident with them. The representative with whom you speak may invite you to give a “statement” concerning what transpired. At the Law Office of Manning & Zimmerman, we offer a free consultation for those who have been injured in a car crash. Please feel free to contact our office at (603) 624-7200 to schedule a consultation before speaking with an insurance company representative, including giving a statement of any kind. Should you decide to retain our office to represent you, we will handle all communications with the insurance company and will work to ensure that you are compensated for the injuries you sustained. If you are like many personal injury victims, you may be unsure of the civil litigation process and whether it is the best fit for you and your family moving forward. The NH personal injury attorneys at the Law Office of Manning & Zimmerman, PLLC understand the hesitation many people feel about filing a lawsuit – we are here to help answer your questions and explain the process from start to finish. At Manning & Zimmerman, you can expect uncompromising persistence and professionalism as our lawyers work hard to obtain the best results possible as we fight to protect your legal rights. If you have been injured through no fault of your own, it is essential that you have competent legal representation from the onset of your case through litigation. Big insurance companies have lawyers looking out for their interests and you should too! The experienced NH personal injury attorneys at the Law Office of Manning & Zimmerman, PLLC offer free initial consultations to NH injury victims. Call us at (603) 239-2489, complete a request for a consultation on our website, or send us an email. If you have been injured in an accident, be sure to contact a NH personal injury lawyer at the Law Office of Manning & Zimmerman PLLC as soon as possible. However, before a personal injury lawyer accepts your case, there are a series of 11 questions they might ask you in order to obtain the details of the accident and your injuries. How did the accident happen? Be sure to be as detailed as possible when explaining how the accident occurred. When did the accident occur? Your personal injury lawyer will want to know exactly what date and time the accident happened. If you waited too long after the accident to file a claim, then you may be outside of the statute of limitations. Where did the accident happen? Your personal injury lawyer will need to determine the venue for your case, which will be based upon where the accident happened. 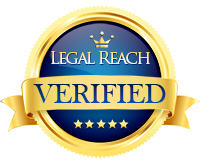 If the accident happened in another state, we can recommend a personal injury lawyer for that area. Did you seek medical attention for your injuries? Your personal injury lawyer will request the names of the places you went to seek attention, as well as copies of any medical records you may have. How are your injuries presently? Your injury attorney will want to know if your injuries have healed or if you are still from the effects of the crash. Were there witnesses to the accident? Do you have any type of insurance? Have you been in contact with any insurance companies about the incident? Where is the car or truck that caused your injuries? If you were hit by a car or truck, or injured by something else, your injury lawyer will want to see pictures before the vehicle is repaired. If you have already taken pictures, bring them in to show your NH personal injury lawyer. Were you referred to the law office by someone? At this point, you can ask the personal injury lawyer any questions you may have as well.